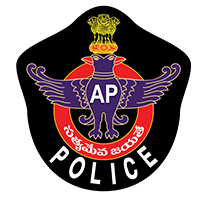 AP Fire Dept Jobs Recruitment Notification 2019.AP Police Recruitment Board inviting applications for the positions of Driver Operators.Interested and Eligible candidates can apply for the positions. SSC from a recognized board is the qualification to apply for driver post. Age relaxation is as per department norms. Contenders those who qualifies in written test, driving test and physical standard test will be recruited. For Krishna District applicants, On 26th February 2019 at Eluru Police Parade Grounds will have physical standard test. For Guntur District applicants, ON 02nd March 2019 at Ongole Police Parade Grounds will have PST test. http://fireservices.ap.gov.in is the link to download application form and send to below given address. Office of Superintendent of Police of Concerned District, Andhra Pradesh.